So, you have a team and you have team members. Now what? Well, you need to have a system for creating a cadence of major activity—activities that bring about showing and listing appointments. Creating an energy of success as the leader means you have to literally lead these people to their own success. As the team leader, it is up to you to create the weekly and daily schedule that will create results for your team members. Salespeople need direction, goals, motivation, competition, recognition and accountability. Using this plan will create weekly and monthly success for your team. They will achieve their personal goals and contribute to your team’s goals. Communicate 7×7 different ways. You have to communicate your team goals and expectations and reinforce them multiple times a week/day. It is not enough to say things once over a month ago and think the agents on your team a) remember it, and b) understood it then and remember it now. So, you have to repeat things and present them both verbally and in writing. Over-communicate all the time. After a meeting, send a follow-up email about the tool or marketing piece you want them to use, and include how to use it effectively to win more business. Create a video library. Create a training library of your listing and buyer presentations that your agents can use to learn the scripts that will convert more leads into sales. You can also create a video for your team to watch about what to expect when you join your team, and how to start their individual business plan. Create an online “learning center” of your materials. Use Dropbox, Microsoft SharePoint, or Google Docs to share all the documents for selling, marketing, learning, training and coaching. Also, you can have the agents track their calls to communicate their daily activity reports to you this way. You can load your listing presentations and buyer presentations, and everyone has access to them when they need them for a new client. Implement a CRM to track all the activities and sales calls and pipelines that your agents are going on. You can ask them specifically which leads they are getting an appointment with, and which ones they are having a difficult time with and may need your help with to learn a new strategy. They can update each lead as they convert them through the sales process, and you will know exactly what they are working on and how you can best help them. Ask them for weekly updates for all leads in the pipeline, and if they don’t have enough appointments or enough leads, you can assist them in developing both. Hold weekly training and coaching sessions. This is key to ramping up the success of the activities your agents will have each week. 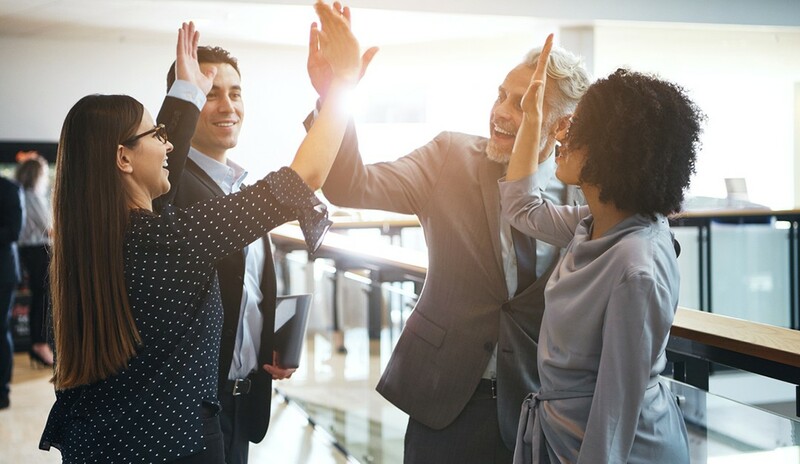 Use this time as a way for your team to share successes and challenges, and for you to show them how to overcome objections and increase their negotiation and closing skills. Weekly attendance would be expected so they can create more success for themselves. Don’t cancel; keep them and lead them to successful results. Create a private team Facebook group to communicate, challenge, motivate and inspire your team. This is a great way to get information to your agents that is helpful for success-building. Great articles, accolades to team members and general market information, as well as sharing new listings to pre-market and show what each team member needs for their buyer inventory, are all excellent ways to maximize using a private Facebook group to accelerate successful results. It also creates a bond and great camaraderie with the team. Don’t use it to communicate negatively, or everyone will mirror you, and it will become a place to vent that is counterproductive. We want to focus on the positive to create success by sharing great ideas and best practices. Recognize achievements and success and create healthy competition. Make sure you really recognize everyone all the time. It is easy to think you have recognized team members achievements; however, you may have told them great job when no one was around. Telling them how awesome of a month they had in front of their peers will make them feel like a total rock star, and shows your appreciation and makes them feel really good about their accomplishments and that you value them so much. Have monthly or weekly contests for cold calling, warm calling, FSBOs and expired prospecting, most open house conversions, number of appointments for week and even number of listings and sales. Salespeople love competition, and, when done fairly—with great communication of the rules and the successes—you will create the best team around. Create social functions for your team and their families. Having fun with a work hard/play hard philosophy is great and when it comes to celebrating successes. Include the families of the agents who are on your team. They are the great people behind these agents who deal with their unpredictable schedules and they will really appreciate being included. A happy hour, dinner, night out at a live show, a get-together at your house or even an incentive trip that agents have to qualify are great ways to get to know each other on a personal level, while showing appreciation for the 110 percent commitment they show you. If you adopt these leadership principles to communicate your goals for your team, as well as inspire, challenge and motivate them, you will see amazing results. Everyone will be feeding off each other and success will continue to happen. Your leadership will literally create the cadence of energy that moves people to perform at the highest level, and you will be meeting and exceeding your annual goals and growing your thriving team. For a FREE copy of my exclusive Questionnaire Template for Starting a Team and the Weekly Accountability Worksheet, email yourock@sherrijohnson.com. Also, check out our webinar schedule at www.sherrijohnson.com/live-events.